Dead spots or dead zones…most houses have them. These are places in the home where the WiFi network can be slower, less reliable, or non-existent altogether. If you’ve ever had trouble streaming a video in the living room, or can’t connect to the WiFi network while in the basement, that’s a dead spot. 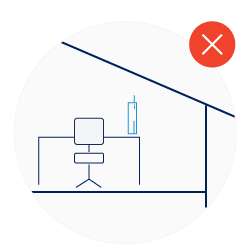 At a basic level, a dead spot occurs whenever the WiFi signal transmitted by the WiFi router is too weak to support a solid connection. A router’s wifi signal travels a finite distance (defined by the WiFi standard). For example, WiFi devices farther away from the router will manage to get only 10-50 percent of the bandwidth compared with clients closer to the router. 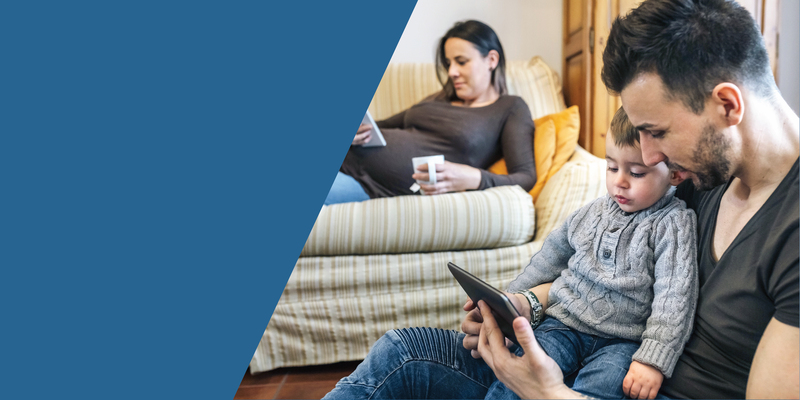 In addition, common architectural features of the home, like walls and floors, can impact the WiFi signal and make it more difficult to reach certain areas of the home. Don’t place a WiFi router by an outside wall of the home. This placement wastes a lot of the router’s capacity, as signals are radiated right into a concrete outer wall with no place to go. Place the router in a central location. 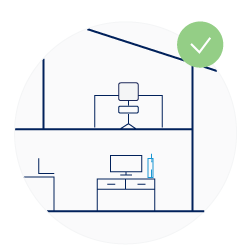 The more centrally positioned your router is, the more likely the signal will be able to reach all corners of the home. For example, you probably don’t want to place the router in the basement or at the far end of the 2nd floor. 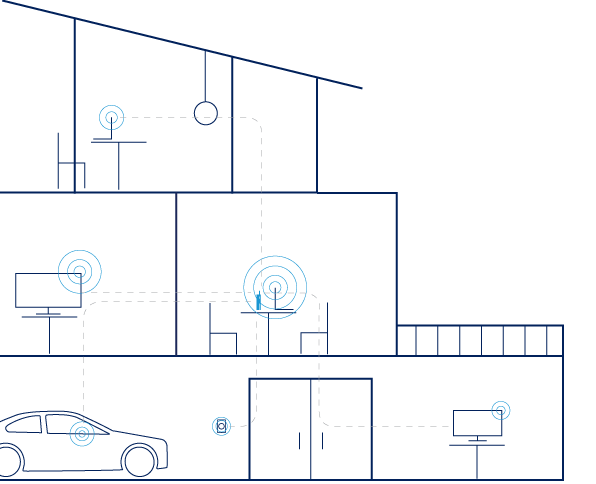 equipment to 802.11ac technology that supports faster WiFi speeds and distances. 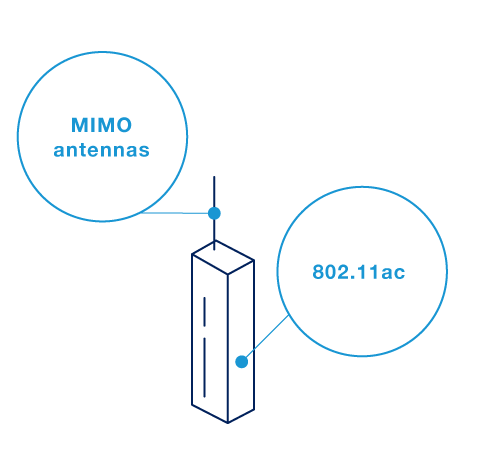 In addition, look for routers that specify MIMO antennas, as MIMO smart antenna technology improves wireless performance for better coverage. 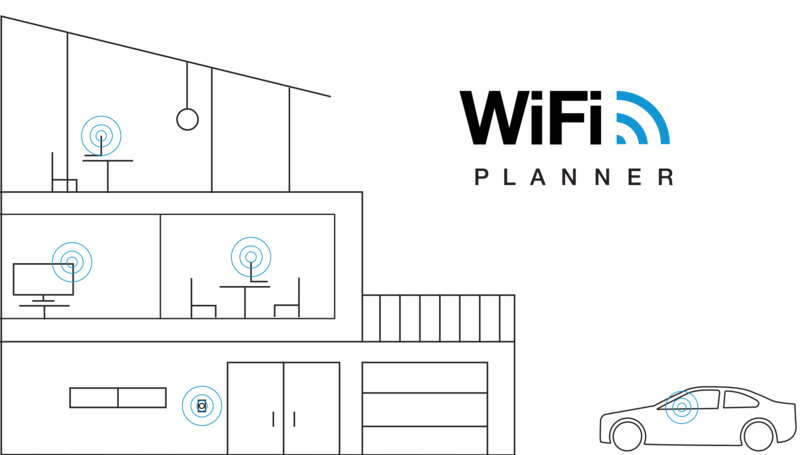 Even the most powerful WiFi router and optimal router placement can’t deliver whole home WiFi coverage in some homes that are either too large or have certain architectural features. In these cases, you can purchase a network adapter or extender to bring the WiFi network to those places where it’s typically weak or non-existent. 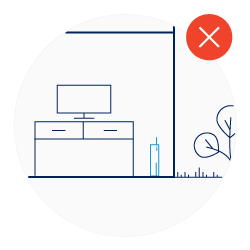 A combo wired/wireless extender is often the preferred solution, as it leverages the speed and reliability of a wired connection to reach a far corner of the home. These devices use the home’s existing wiring (coax for MoCA-based solutions and electrical wiring for Powerline-based solutions) to extend the home network. An adapter is plugged into an electrical/cable outlet and connected to the router, bridging the home network to the electrical/cable lines. Then an adapter with built-in WiFi is connected to another outlet in the home to extend the WiFi network to that new area.